In this day and age, it is incredibly easy to turn to social media for validation. 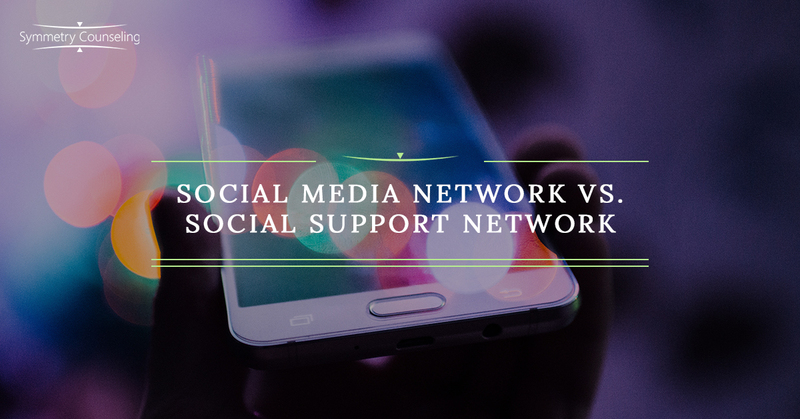 You may have 6,000 followers on Instagram, 1,000 friends on Facebook, or you may get hundreds of views every day on your blog, but are you happy with your social support system? Do you feel you have friends that lift you up when you are feeling down or family who are there to listen when you are hurting? The truth is, it may be hard to think of a few and this may leave you feeling lonely and discouraged. Social support is the physical and emotional comfort given to us by our family and friends which make us feel valued and cared for. Research conducted by Turner and Brown (2010) indicated that social support fights against the effects of stress on depression, anxiety, and other health problems, all the more reason to maintain these relationships in your life. Below are a few tips to help you build and strengthen those connections in your life versus counting “friends” on social media. Often people expect others to reach out to them, and then feel rejected when people do not go out of their way to do so. To get the most out of your relationships, you have to make an effort. Make a list of friends, family, coworkers, etc. who are supportive and positive in your life. Make a commitment to reach out to one of these connections per week to say hello, catch up with, or do an activity with to continue building that relationship. Rather than following random people on Instagram so they will follow you back, use those networking skills in person. Create new opportunities to meet people through attending cooking classes, yoga classes, or other events you may be interested in. Even though it feels intimidating to meet new people in person, try not to get discouraged. Keep introducing yourself to others and putting yourself out there to see who you may have a real connection with. The more you do it, the easier it becomes. Social media should not be used to replace face-to-face interactions, but it is a great tool to explore new connections and keep in touch with old ones. If your motivation to use social media is to see how many people follow you or how many likes you get on a picture, take a break from the social media for a while. Be mindful of your use of social media as to not use if to validate your worth. Try taking a break from all social media for a while to see if it has any effect on your mood. Growing and maintaining your social support network does not happen overnight; it takes a lot of time and commitment. Recognize that it may take a while to meet some people you connect with and even longer to build intimacy with them. As you build your social system in real life you will see yourself focus less on how many likes you get on a picture and more on the rewarding relationships you have around you. If you want to improve your social support system and would like some support in the process, it may be useful to connect with a therapist. Contact Symmetry Counseling at 312-578-9990 to set up an appointment with one of our very skilled therapists.